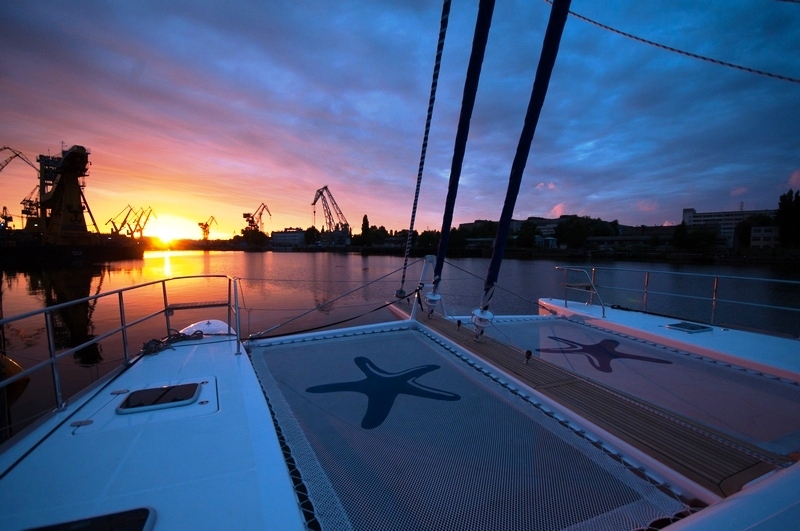 Luxury Charter Yacht SPARROW is a new Sunreef 62 launched in 2010. 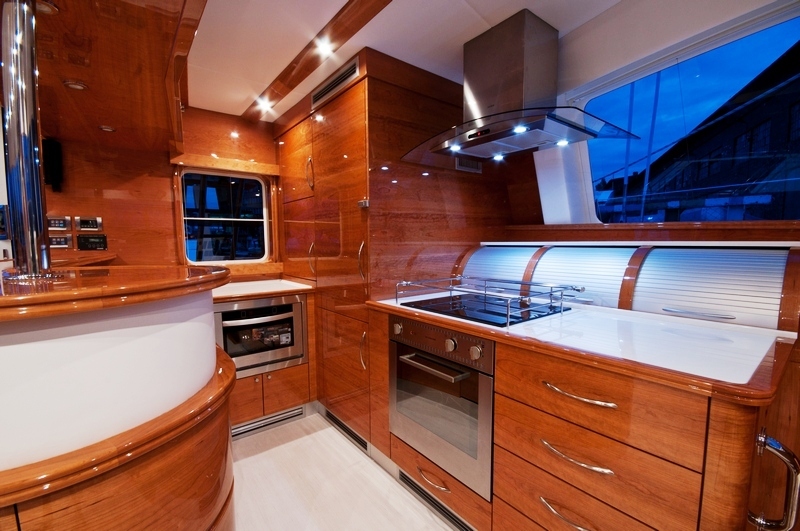 Sailing Catamaran SPARROW has a beautifully appointed interior combining contemporary design and elegance. 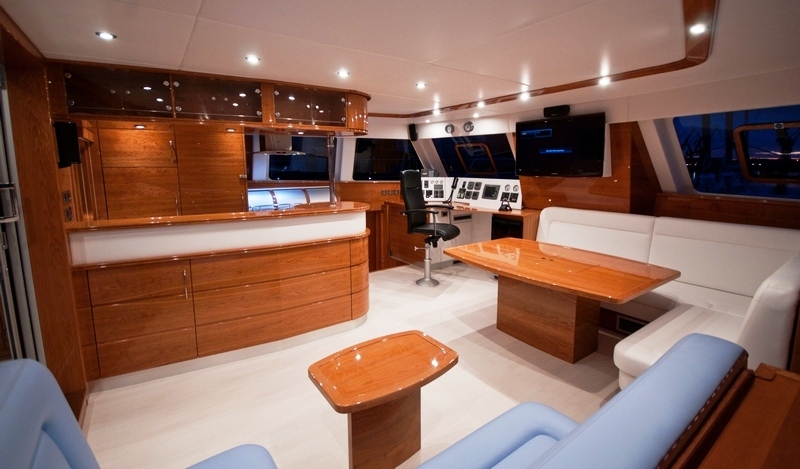 The Sunreef 62 provides a large interior volume and cockpit are with a generous 30 ft beam. 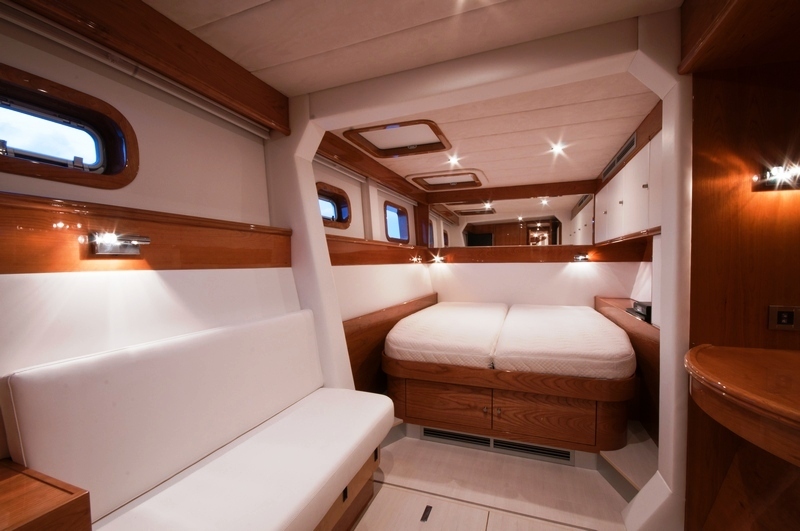 Sunreef Cat SPARROW’s interior is neutral featuring white and baby blue leather couches along with contrasting wood giving a lasting impression of elegance. 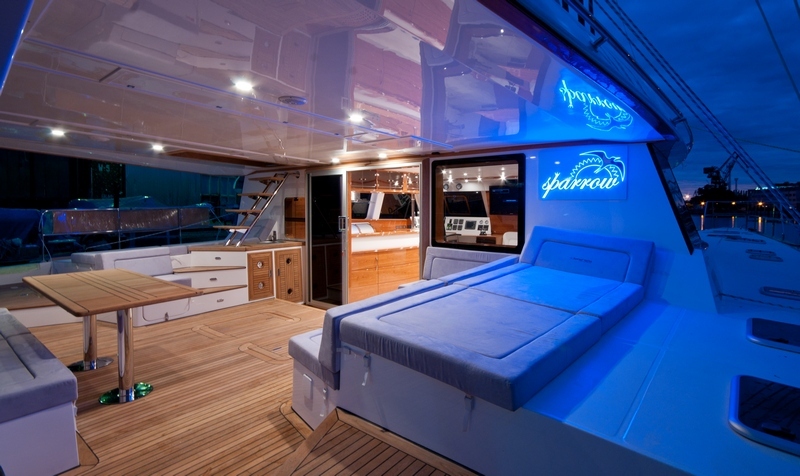 Her modern interior decor is complemented by blue lighting on the aft deck which highlights the yachts name Sparrow. 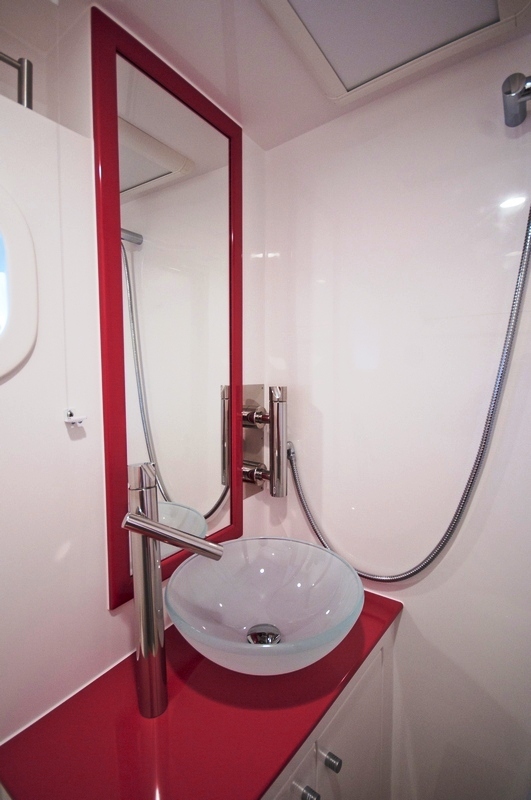 Sunreef Catamaran SPARROW has 4 double cabins with modern en suite bathrooms with colorful hand basins and separate showers. 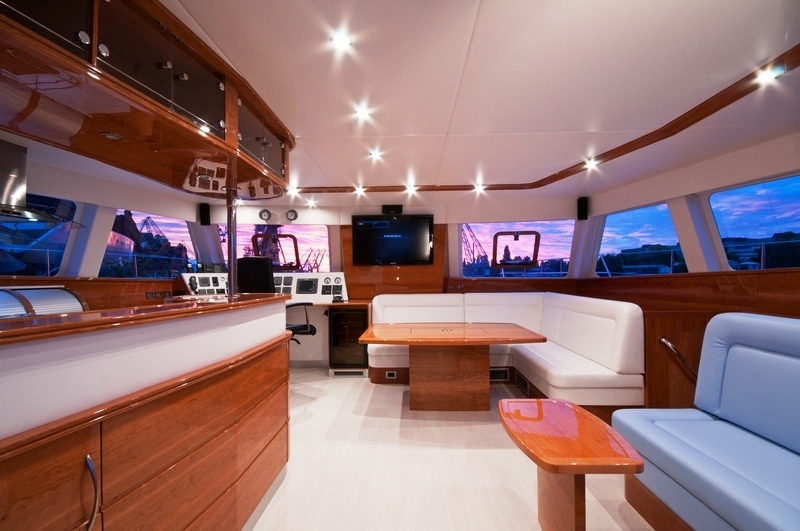 She can comfortably accommodate up to 8 charter guests. 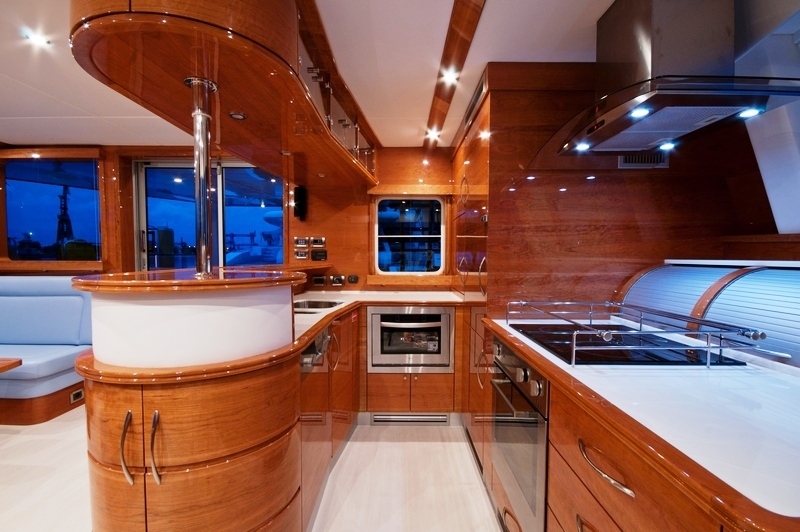 Guests can enjoy meals prepared in the state of the art galley either inside or on the spacious aft deck. 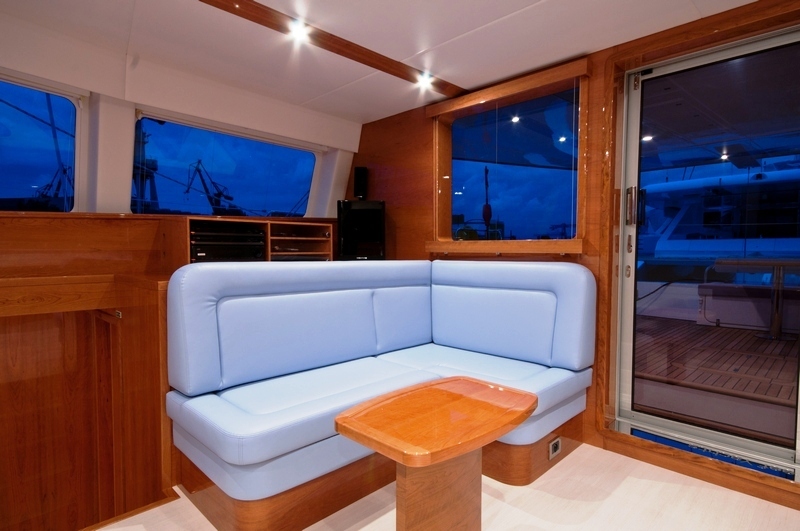 The Sunreef 62 SPARROW also offers a spacious fly bridge where guests can relax and enjoy the scenery while cruising or at anchor. The Sunreef 60 charter yacht SPARROW is based in the Caribbean during the winter months and is the ideal charter yacht for those looking for luxury cruising. Cat SPARROW has a professional crew of two. 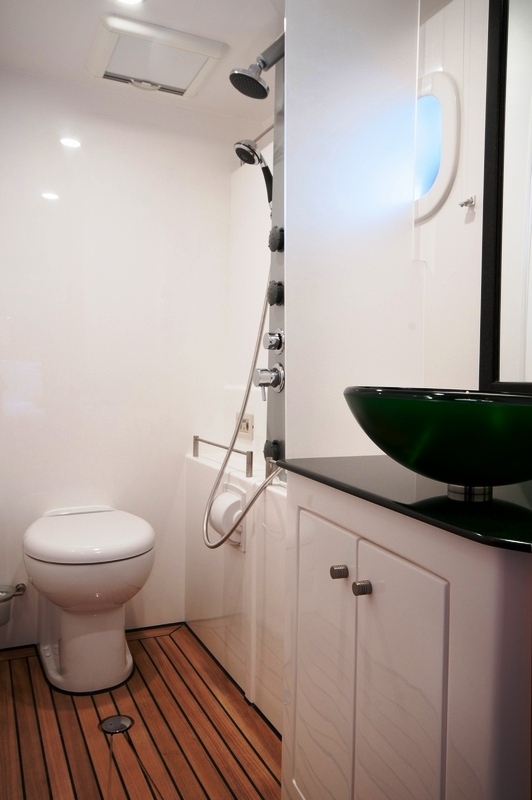 Sunreef Catamaran SPARROW has 4 double cabins with en suite bathrooms and separate showers. 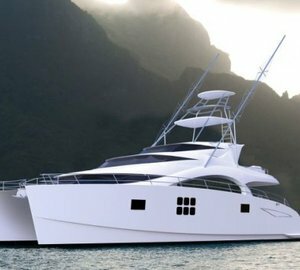 She can comfortably accommodate up to 8 charter guests. 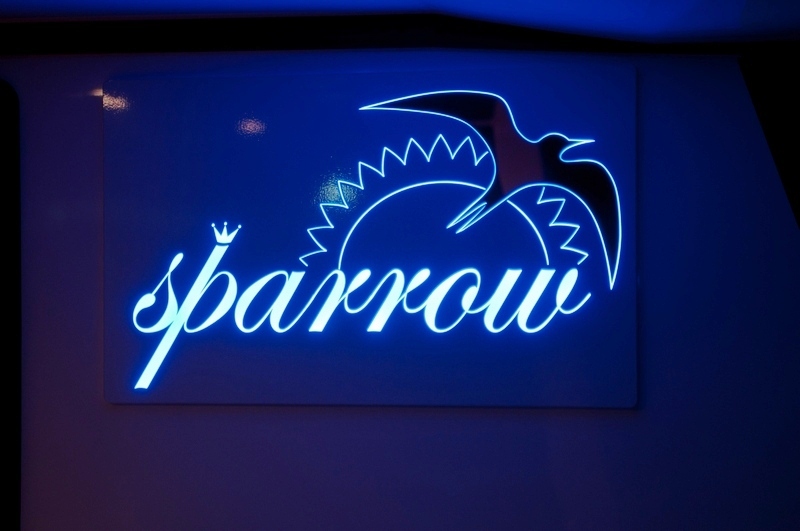 Please contact CharterWorld for further details on the extras and amenities sailing catamaran SPARROW offers.